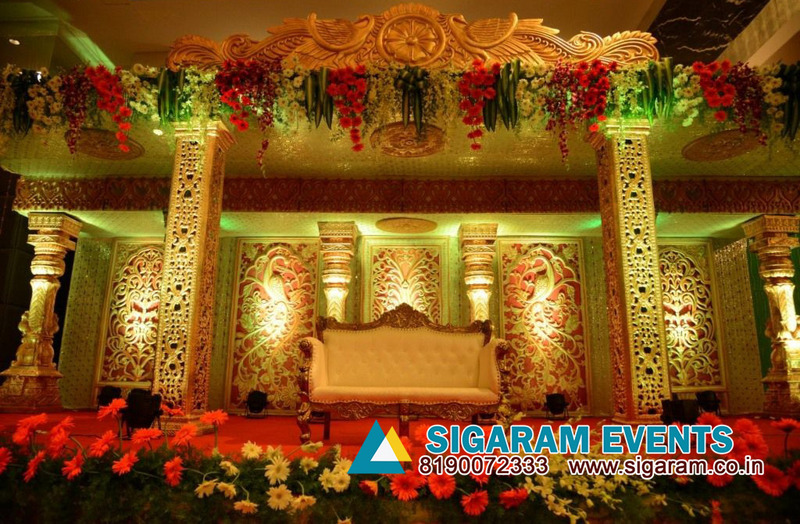 We Sigaram Events and Wedding Decorators in Pondicherry have got you a great collections on awesome Wedding Reception Stage Decoration Images below. It’s important to stick to a budget and to keep your wishes realistic. 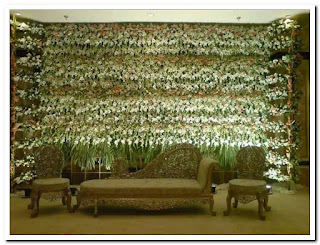 While this is a very special day your life, it’s not an excuse to be wildly extravagant with money you don’t have. 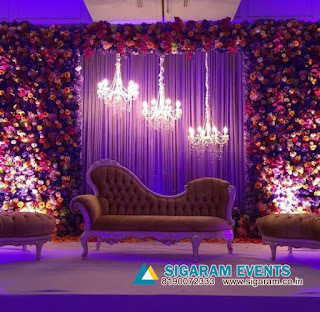 Remind yourself when you feel like fretting that you still have many wonderful days ahead and you don’t want these marred by paying back an unplanned overspend. 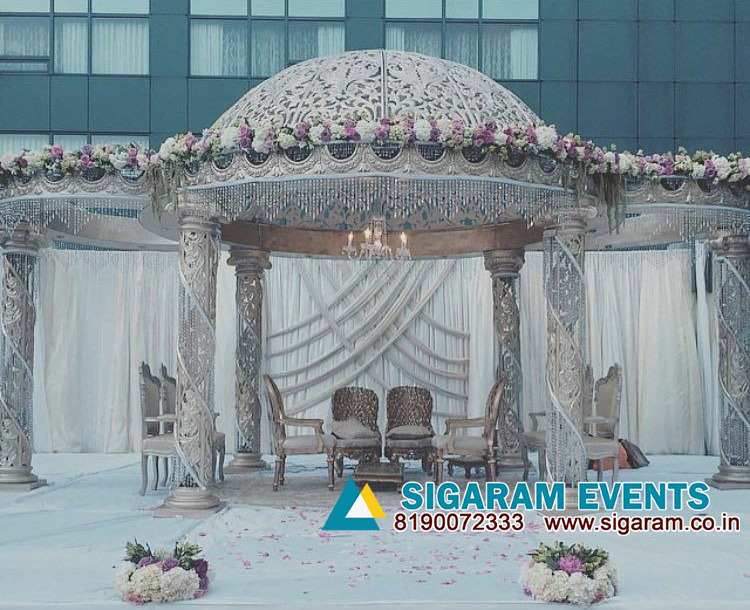 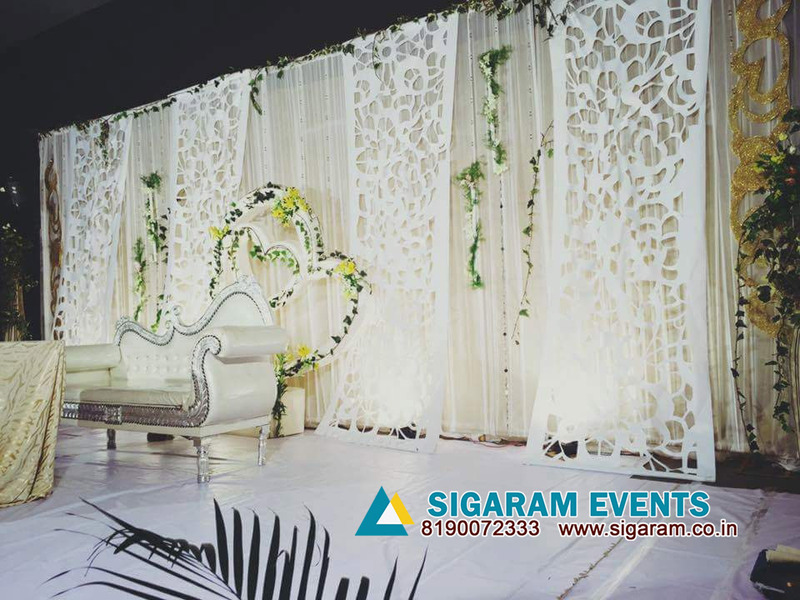 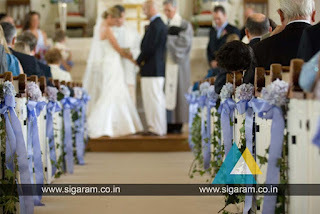 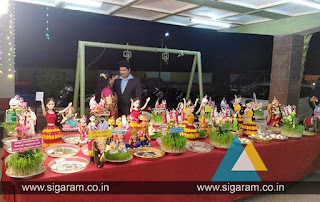 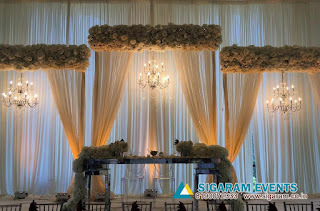 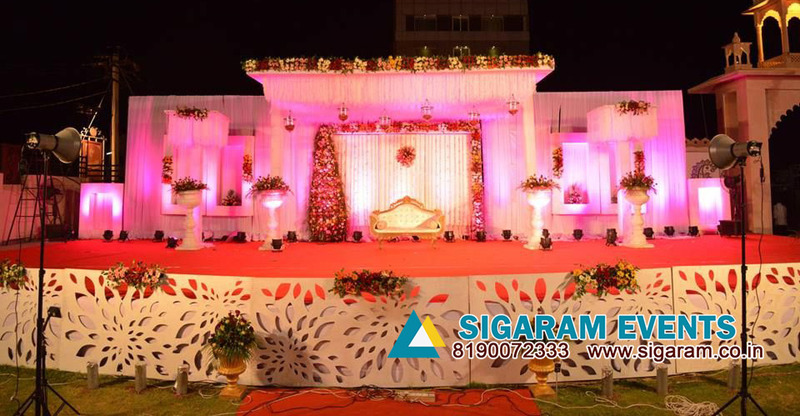 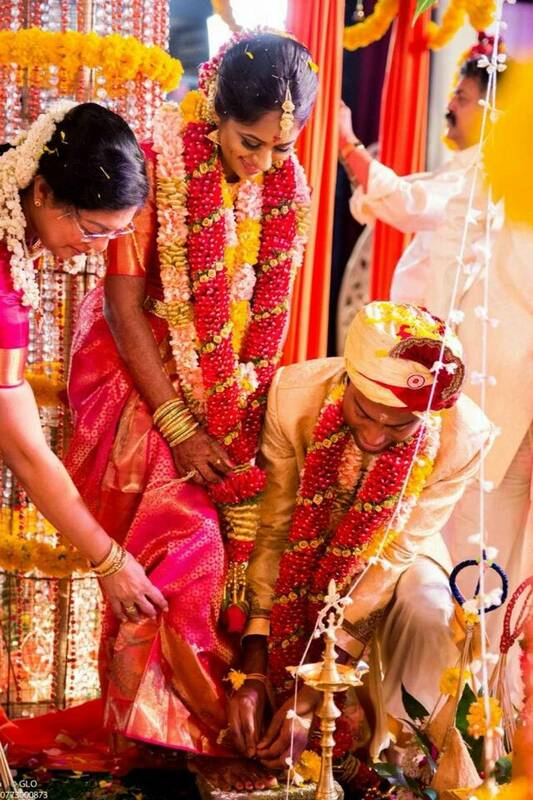 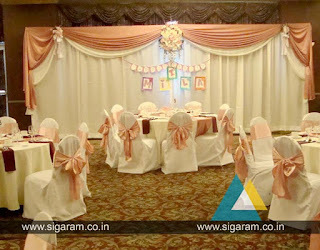 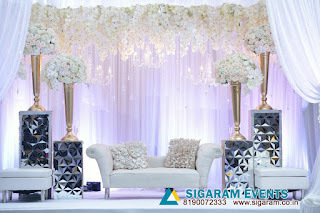 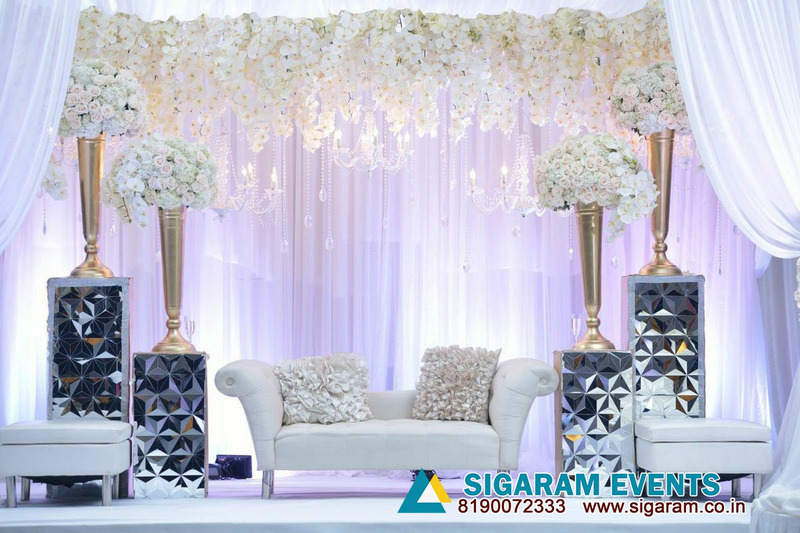 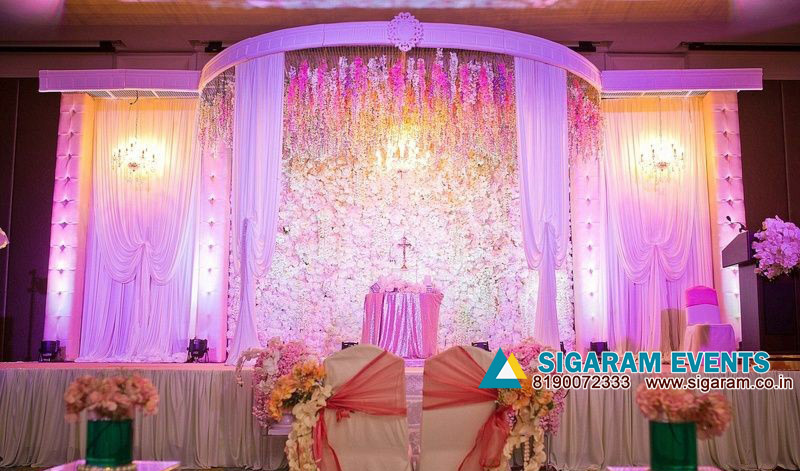 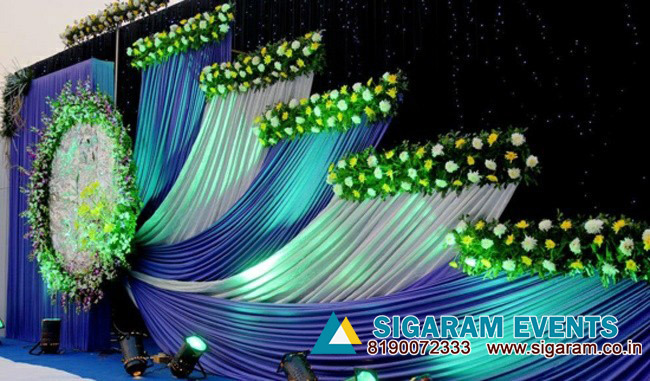 We Sigaram Events are Wedding Planners and Wedding Stage Flower Decorators in Pondicherry, we plan elegant, stylish, glamorous and fun celebrations. 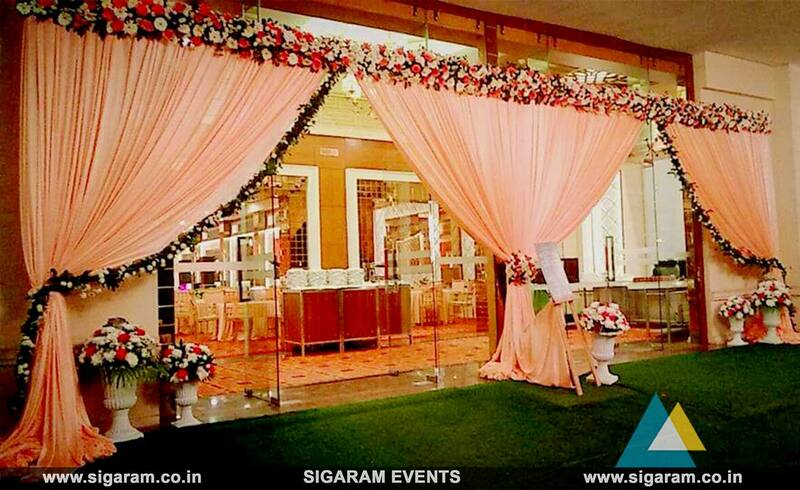 We are The Wedding Planners for savvy, sophisticated couples who demand first class service and a world-class event. 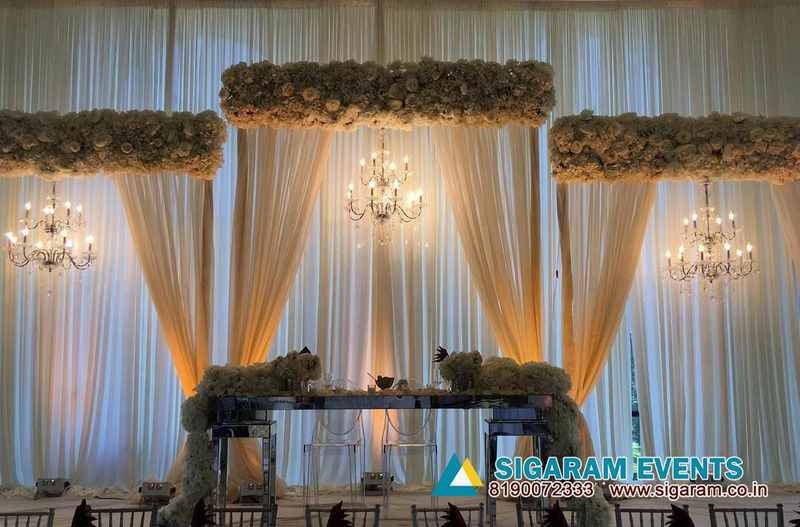 First impressions is the best impression and so is it so important, especially when it comes to making the grand entrance on your wedding day! 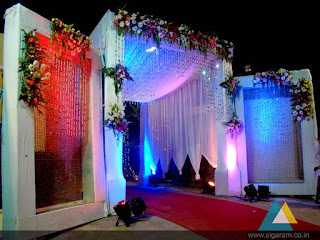 Get creative with your entrance door decoration elements to create a moment of awe in the surge of anticipation. 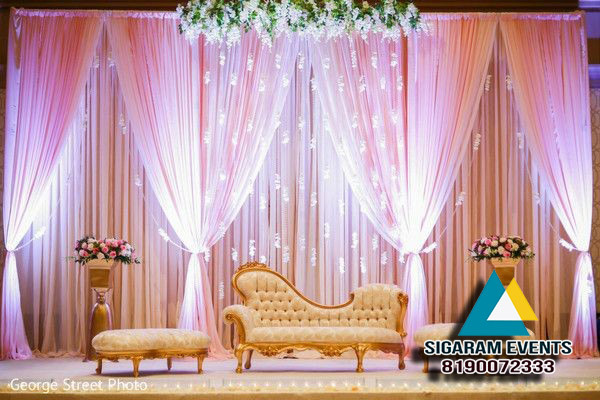 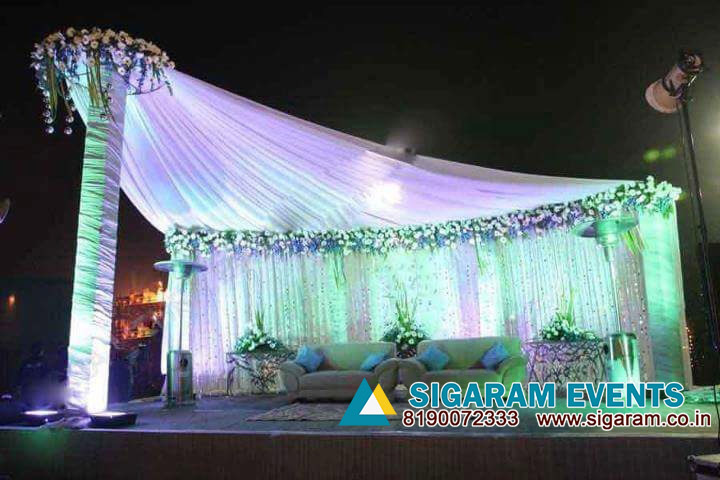 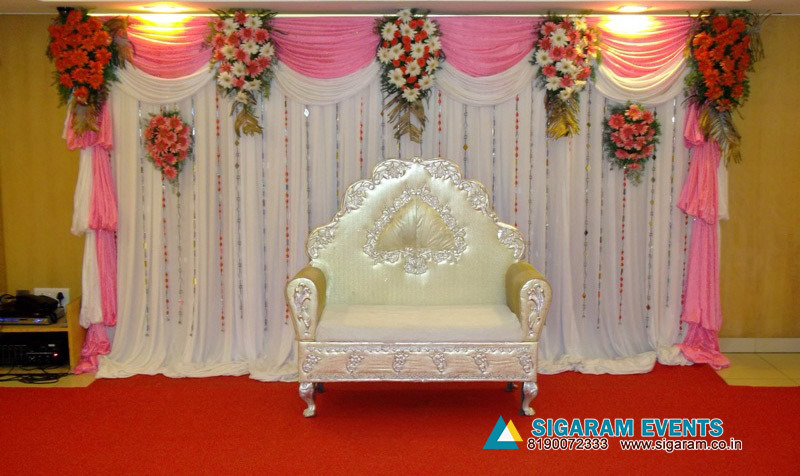 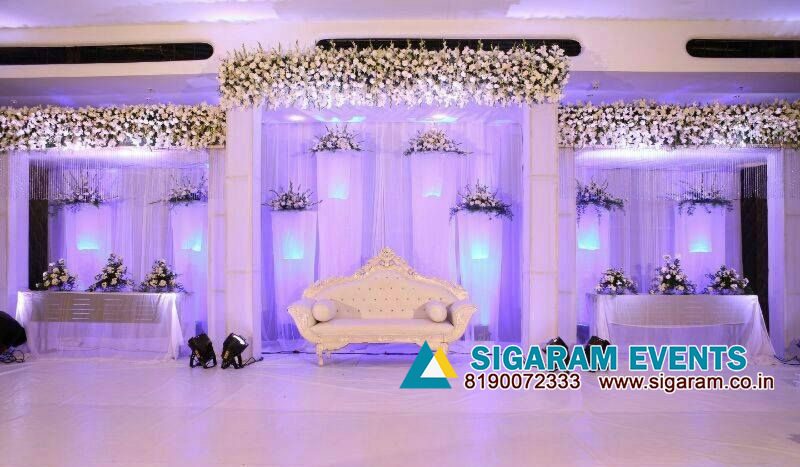 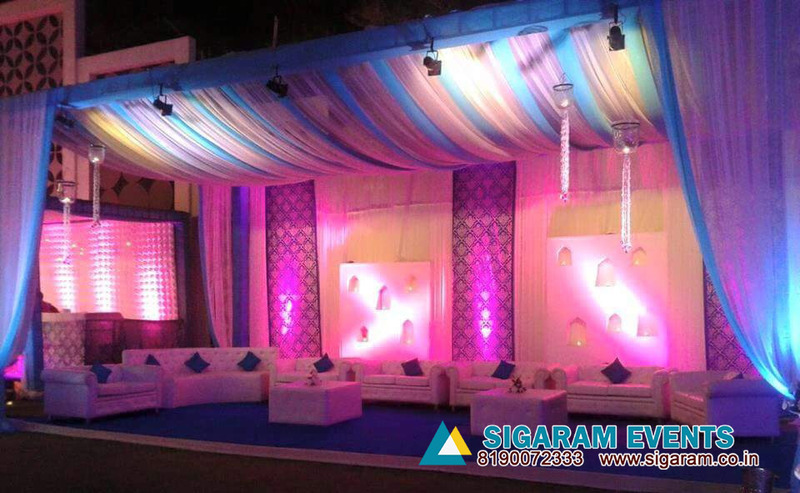 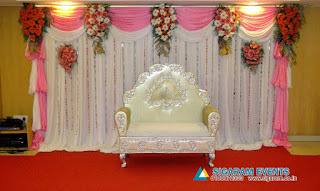 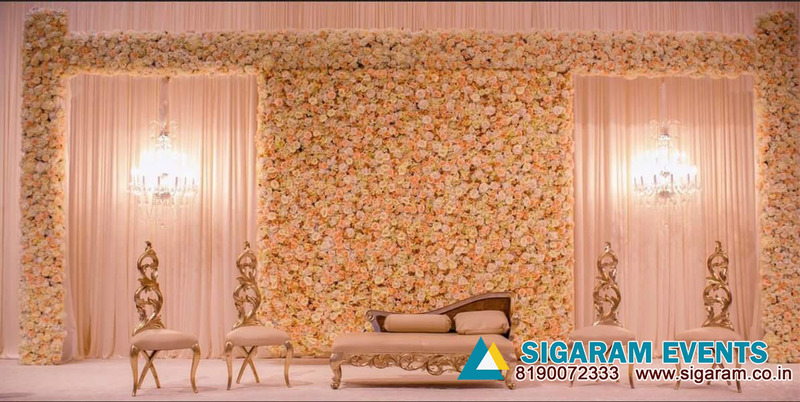 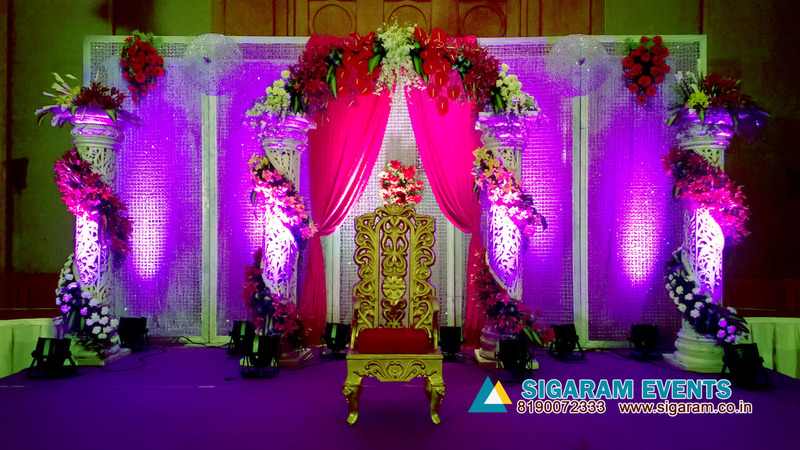 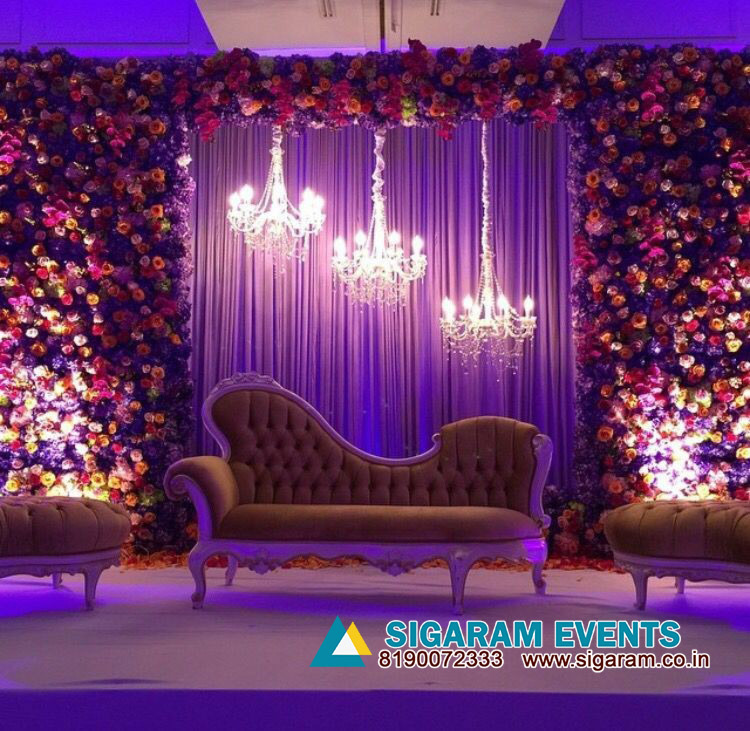 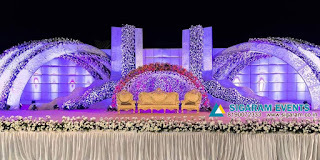 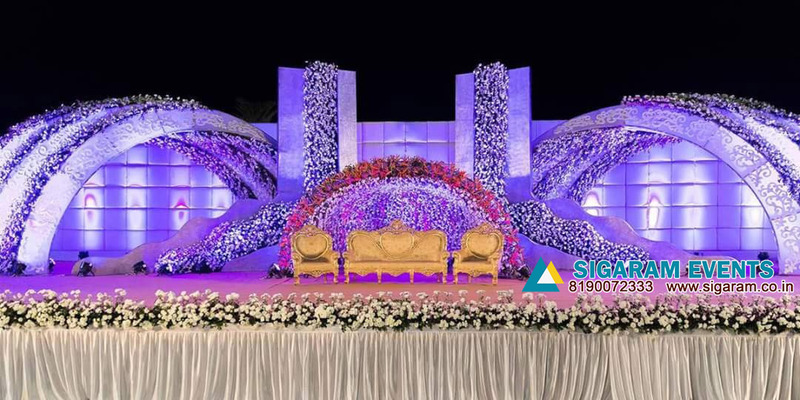 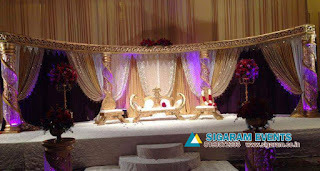 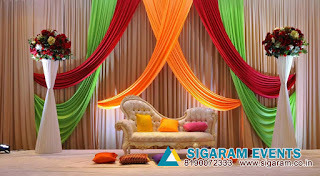 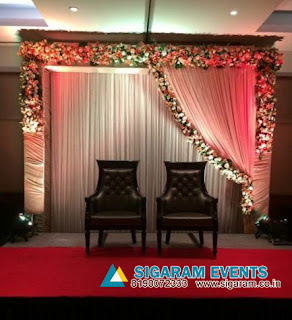 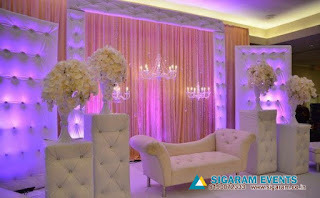 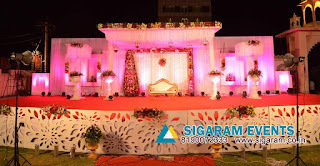 We Sigaram Events and Wedding Decorators in Pondicherry offer services in Chennai, Cuddalore, Neyveli, Chidambaram, Coimbatore and across Tamilnadu. 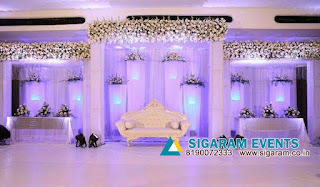 For brilliant entrance door decoration ideas, you can refer the below pictures to get an idea of what you can do to make the entrance beautiful. 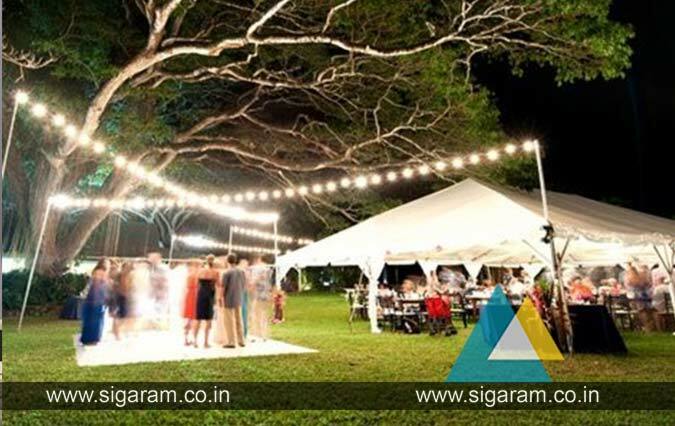 The dance floor is the focal point of most indoor and outdoor wedding receptions — why not get the most bang for your decorations buck by decking it out? 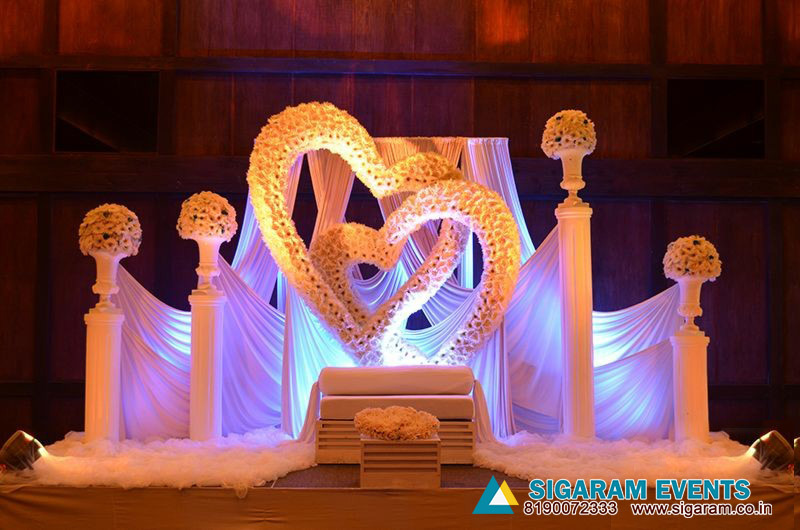 Create a jaw-dropping effect with a decorative canopy or DIY-friendly objects suspended from the ceiling. On the flip side, you could emphasize the floor with light-projected patterns, monograms, or checkered tiling. 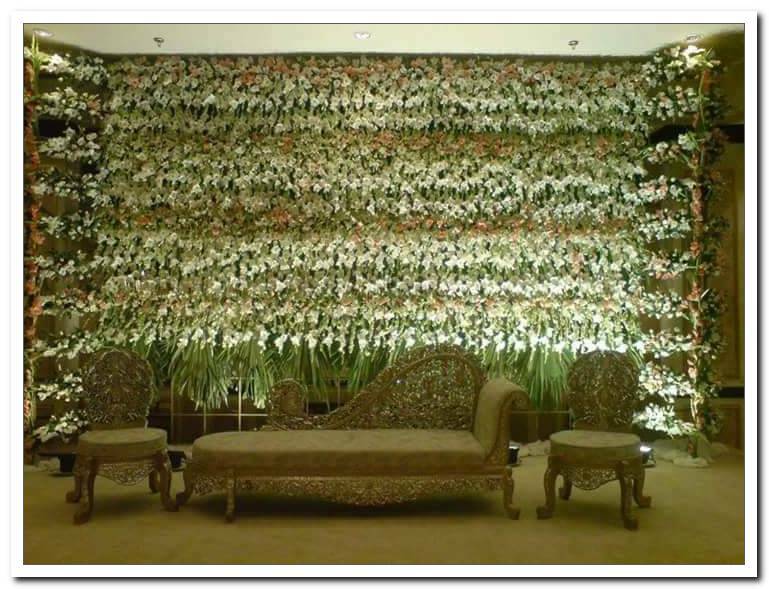 For all your wedding backdrop draping needs look no further in Pondicherry. 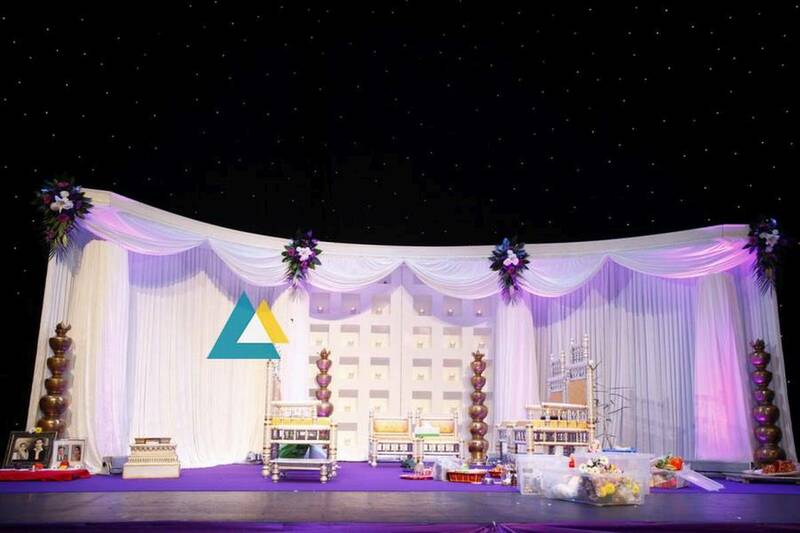 In the earlier stages of planning your wedding or any event, your concept and event location are pretty much a blank canvas. 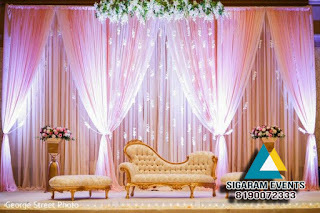 We are wedding decorators with custom staging concepts and we can transform any environment to be stunning, whimsical and magical. 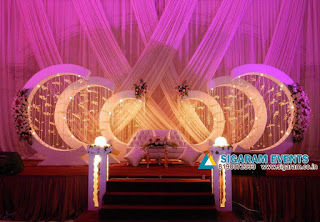 Some go for a more dramatic look to get the ohh’s and ahhs and that WOW factor to create a OMG feeling. Atmosphere can create emotions, so whether you are going for an intimate and romantic feeling or a WOW how did they do that? 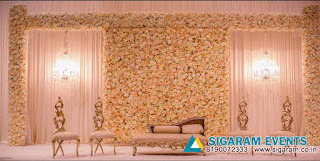 feeling we got you covered!